Taylor Swift may have rubbed shoulders with the likes of Julia Roberts and Meryl Streep at the 71st annual Golden Globe Awards, but fellow singer-songwriter Katy Perry had better things to do on Jan. 12 – like splits on the Great Wall of China! The “Roar” singer Instagrammed a picture of herself on the Great Wall with the captions "#bestdressed" and "#goldenglobes." While she certainly didn’t don an evening gown, the 29-year-old singer was dressed appropriately for the occasion. In the photo, she’s seen wearing a jacket, jeans and sunglasses, accented with a conical Chinese "paddy hat." Ironically, Katy’s new song “Dark Horse” coincides with it being the year of the horse in China. Earlier this year, Katy Tweeted this about great timing for her new song. So... it really is the year of the Horse! Just landed in China to see Dark Horse at #1 on ITUNES US. What an unexpected, lovely, surprise! 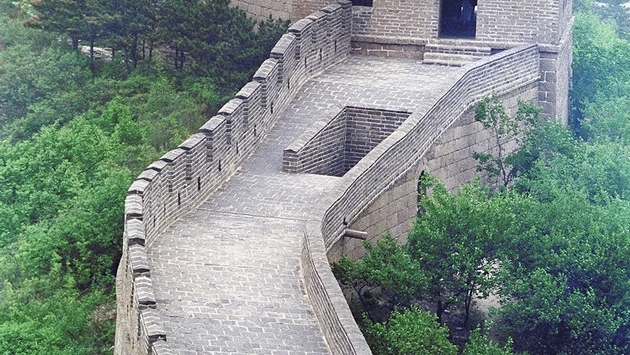 I think it’s safe to say that celebrities sure do love the Great Wall of China. Before Katy’s now infamous splits, Justin Bieber was spotted being carried – by his bodyguards -- up stairs of the great monument in late September. At least Katy didn’t take Justin’s route on her trip to the Great Wall. Who do you think will be next to scale the Great Wall?